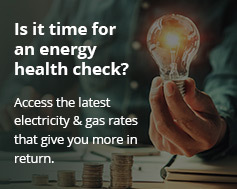 Energy Matters’ Australian Solar Index provides a snapshot of average internal rate of return on investment in solar power systems installed in various locations around Australia. It clearly demonstrates solar is one of the best performing investments available. The Index also details the percentage of eligible dwellings in each city with solar panel systems installed. It also include sun hours, electricity rates, system cost and government support indices. The Australian Solar Index will be updated on a semi-regular basis. If reproducing this data, please acknowledge Energy Matters and link to this page as the source. The information in the chart is only a guide. Financial investment returns may vary based on installation location, quality of equipment and installation and other factors. The Australian Solar Index covers the top 50 cities serviced by Energy Matters; but is representative varying solar market situations in Australia. Solar irradiation is based on Bureau of Meteorology long term average data relating to a particular postcode and weather station in each city. Government and State support, including STC (Small-scale Technology Certificates) incentives and current feed in tariff rates are based on current information that provided by electricity retailers and relevant State governments. Electricity rates estimations are based on Energy Matters research of residential market rates; current as at June 2013. Electricity rates are average rates including GST after standard offered discounts associated with selected retailers and calculated over all Electricity Distribution Areas. Both market leading premium and low cost retailer offers have been considered in preparation of this data. Electricity price increases are based on 15 years escalation and on SKM modelling for the Climate Change Authority 2012. These are calculated on a state-by-state basis; applied to specific cities. For the calculations related to the percentage of eligible dwellings with solar, each featured city represents the relevant SA3 or GCCSA in accordance with the Australian Bureau of Statistics Statistical Geography Standard (ASGS). The total number of eligible dwellings has been estimated based on the Australian Bureau of Statistics 2011 Census data where dwellings are owned outright, occupied free or mortgaged. Solar penetration for each area is based on small-scale installations data from the Clean Energy Regulator; current as at April 2013. Internal Rate of Return (IRR) is calculated over a 15 years period and represents the average return of two systems from Energy Matters, being a 2kW system and 5kW. A 70% and 50% onsite consumption of total system electricity production has been used in arriving at a savings estimation. A conservative 85% DC/AC efficiency has been considered in the savings calculation. Actual system production, savings and investment rate of return will depend on various factors and are likely to be different to any estimates shown – each site should have an assessment to gauge a more accurate IRR. Sun hours, system cost, electricity rates and government support ranking is representative of the impact of each variable has on the final index value; however the effect on the index weights differently based on specific location and system considered. Only systems comprised of good quality components and CEC accredited installation have been used for IRR estimation, in order to provide a 15 year long term investment prospective. Any maintenance or component replacement after end of warranty periods have not been factored into the calculation. Home Solar: Australia’s Best-Performing Investment?